CarolMarie Smith is Founder of Anna’s Gate International who is raising up “Annas” worldwide to keep the fires of prayer burning on the altar. It is taken after Anna in Luke chapter two in the scriptures. Anna fasted and prayed in the temple opening the gate to transformation for the nation and generations. Anna instantly gave thanks and spoke to all that looked for redemption (vs 38)! 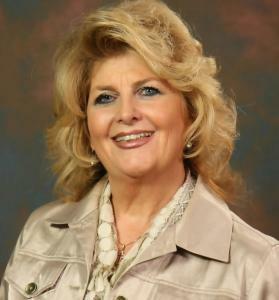 In that vein, CarolMarie teaches the Body of Christ Prophetic Prayer Power through seminars and weekend schools. Training with certification and resources are also available online as prayer networks are being established globally. CarolMarie is an international speaker and writer, inspiring audiences worldwide as they learn prayer strategies and align with God’s timetable to see breakthrough in their lives and communities. She received her Honorary Doctorate in Divinity through Manna Bible College for her years of pioneering ministry to the widow in India. CarolMarie is the co-author of the “Widows Ministry Leadership Training” manual that has been translated into seven languages and used around the world in Bible Schools and Seminaries. The teachings and revelations lift off hopelessness and move the church into a place of greater power and blessing. A Bible teacher for over 40 years, a radio and television personality, as well as a featured writer for magazines and newspapers, CarolMarie often incorporates humor with her passion to call us to our special place in the heart of God. Her reenactment of women of the Bible makes their lives personal and a joy to watch. Her research will bring some special surprises and will build your faith! Visit her at: www.carolmarie.org for articles, videos and resources. On speaking engagement availability email her at info@annasgate.org, contact the office at 865-803-5445, or write to 6515 Clinton Highway #100, Knoxville, TN 37912. Anna’s Gate is an International Training Center called to empower the intercessor including the widow and equip the Body of Christ to move into amazing blessing as they make true religion pure worship (James 1:27). Anna’s Gate takes the definition of a widow from the Hebrew and Greek which include from death of spouse, divorce and by circumstance. Their mission is carried out through research, education, acts of mercy and practical application. They implement Hosea 2:15 to transform valleys of trouble into Gateways of Hope so that there are songs of praise!